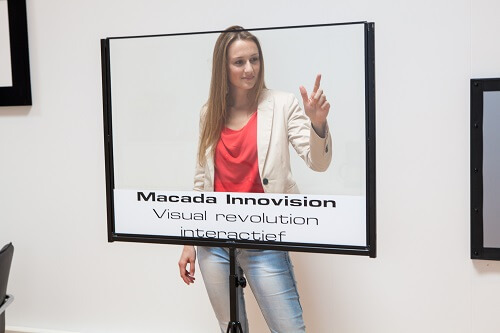 Interactive image projection is a communications medium that perfectly matches today's wishes. The information is always custom designed, with a high degree of user-friendliness. This is why many businesses choose interactive communication. 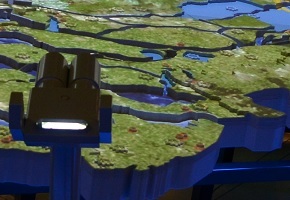 Interactive projection is an interesting medium for shops, banks, car dealers, estate agents, travel bureaus, hotels and restaurants, conference centres, health centres, museums, galleries, event organisations, advertising and marketing bureaus, tv studios, (waiting)areas in public buildings, educational establishments.